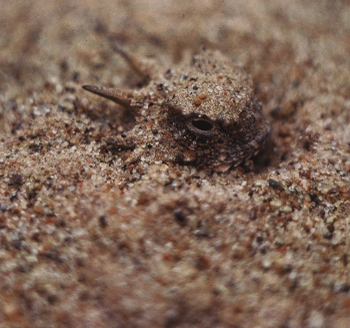 Desert Horned Lizard (Phrynosoma platyrhinos) occupies one of the hottest and driest places on Earth (e.g. the Death Valley in the Mojave Desert) and was able to adjust to these extreme climates over a relatively short time period (ca. 10,000 years). 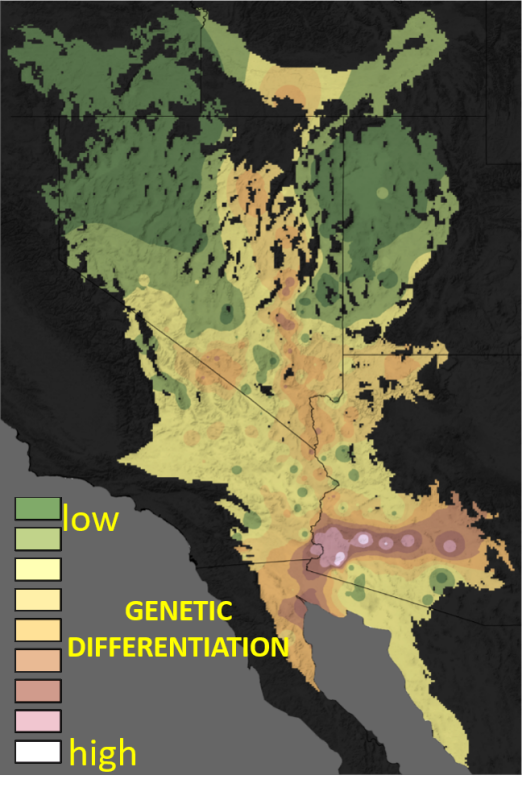 This species was also capable of adjusting to quite contrasting cold climates in the Great Basin. Our goal is to search for genetic regions responsible for adaptations to extreme climates. As part of this project, we sequenced the genome of this species. If you are interested in collaborating or utilizing this new genome, please, contact us. We are searching for genetic regions responsible for adaptations to extreme climates using high-density RADseq datasets and the GEA (genotype-environmental associations). Currently, we are working with the Great Basin Collared Lizard and the Chisel-toothed Kangaroo Rat. 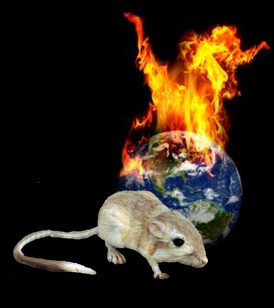 Both species occupy a region with diverse climatic conditions, ranging from one of the hottest and driest places on Earth (e.g. the Death Valley in the Mojave Desert) ato quite contrasting cold climates in the Great Basin. Our goal is to search for genetic regions responsible for adaptations to extreme climates. If you are interested in collaborating or utilizing this new genome, please, contact us.